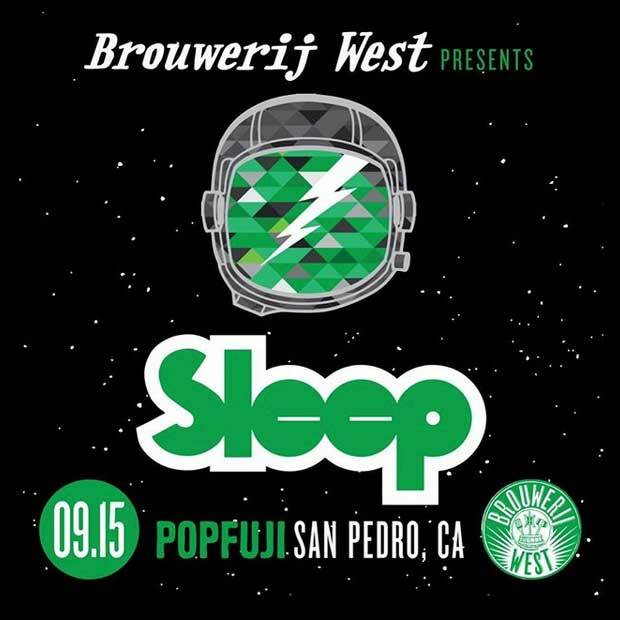 LAST CHANCE TO WIN TICKETS TO SLEEP + J.D. PINKUS + MORE AT BROUWERIJ WEST ON SAT. SEPT. 15! It’s almost time for iconic doom metal power trio SLEEP to take the stage this Saturday at Brouwerij West and take the audience to a strange new dimension. (That’s just what they do.) And it’s almost time for us to pick winners for free tickets — want a last chance to try your luck? Email us at rsvp@larecord.com with subject SLEEP! We’ll notify our lucky Sleep-ers tomorrow … and you still have a chance to get tickets here, too! Must be 18+ to enter and include your full name. Entrants may be added to L.A. RECORD‘s email list to receive notice of similar future contests. Users may unsubscribe permanently at any time. More on L.A. RECORD‘s privacy policies here!